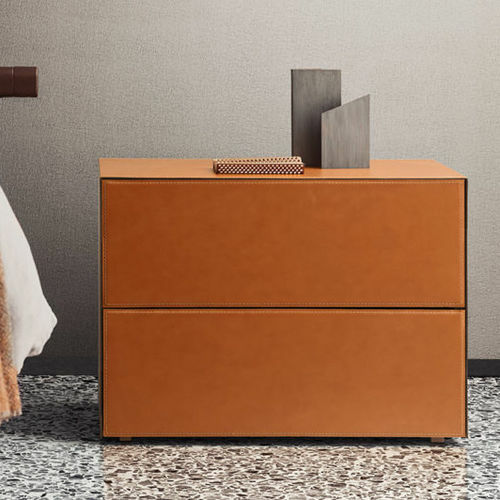 Linear and minimalist, the new Norma bedroom furniture stands out for its square, cleancut lines inspired by the sideboards bearing the same name. Uninterrupted, flowing surfaces elegantly distinguish these sleek cabinets. A slim panel wraps around the entire carcass which it conceals while creating continuous, clean-cut, square lines that are both modern and refined. 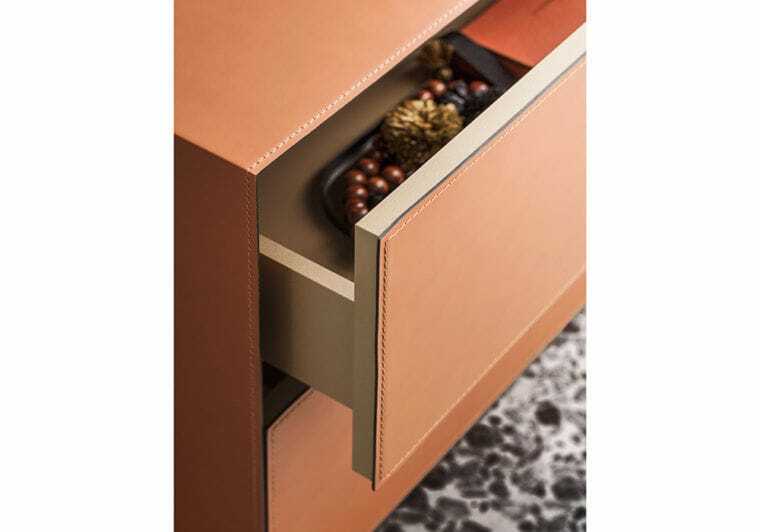 Minimalist in every detail, Norma features a push-to-open mechanism designed to access the contents of its large and practical drawers. 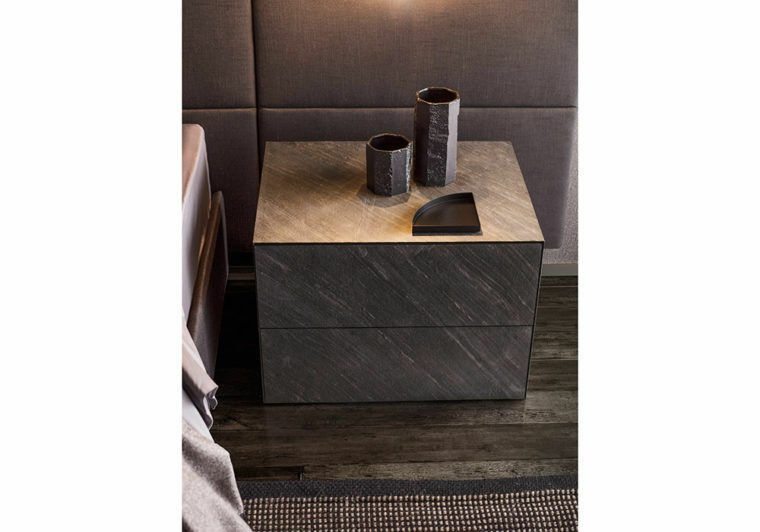 A vast assortment of finishes is available to embellish the outside of these cabinets: new leathers and bronze metallic glass add to the classic matt or gloss lacquers, glass, mirror, wood and stone of the PIANCA collection. The base, available in three different heights, can be added if desired.